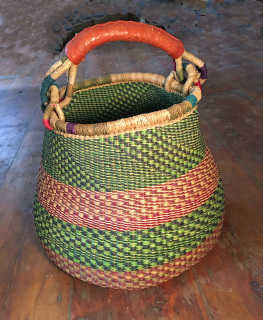 Join us at The Saugerties Garlic Festival the last weekend in September and The New York Sheep & Wool Festival in Rhinebeck in October for a full selection of baskets and other fair trade items. 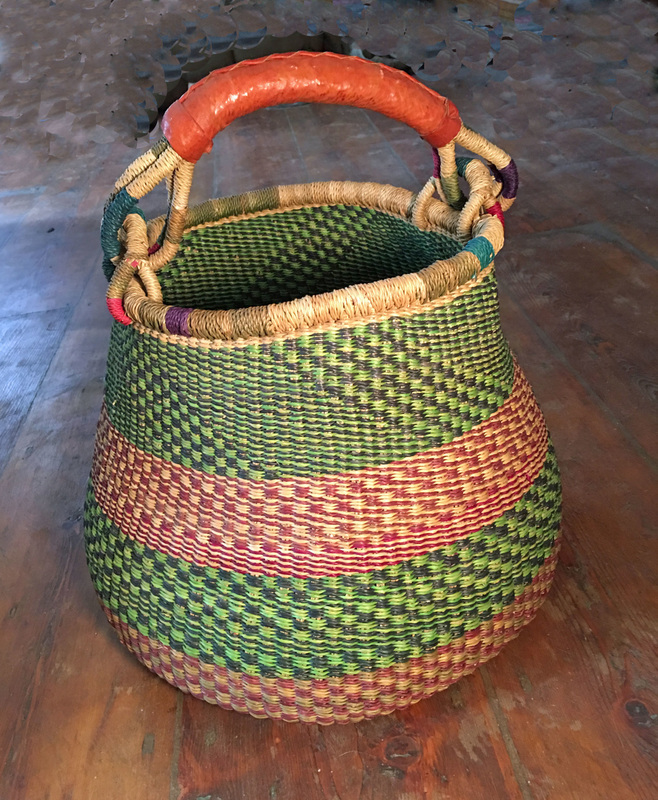 These are fair trade baskets from Ghana. Proceeds from their sale earn the weavers a living wage. 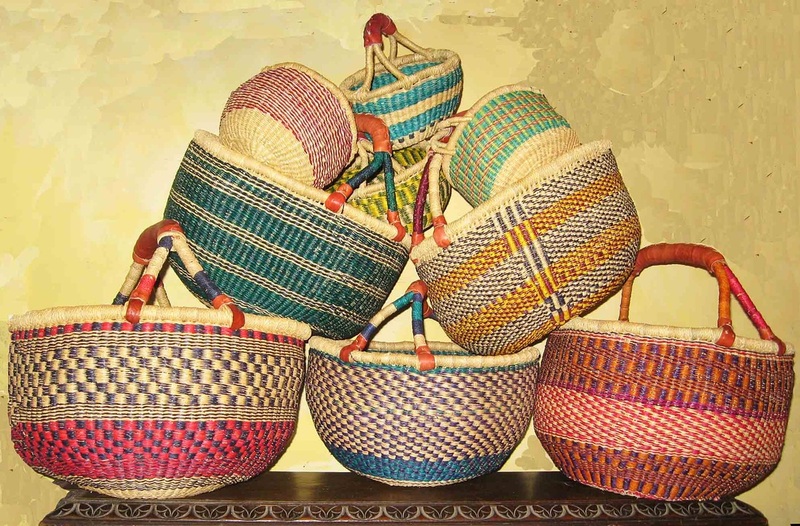 They are the actual baskets the people of Ghana use in their daily lives. They are made from Kinkanhe Straw, a sustainable grass that is very tough and durable. Natural leather wrapped handles for comfortable gripping. 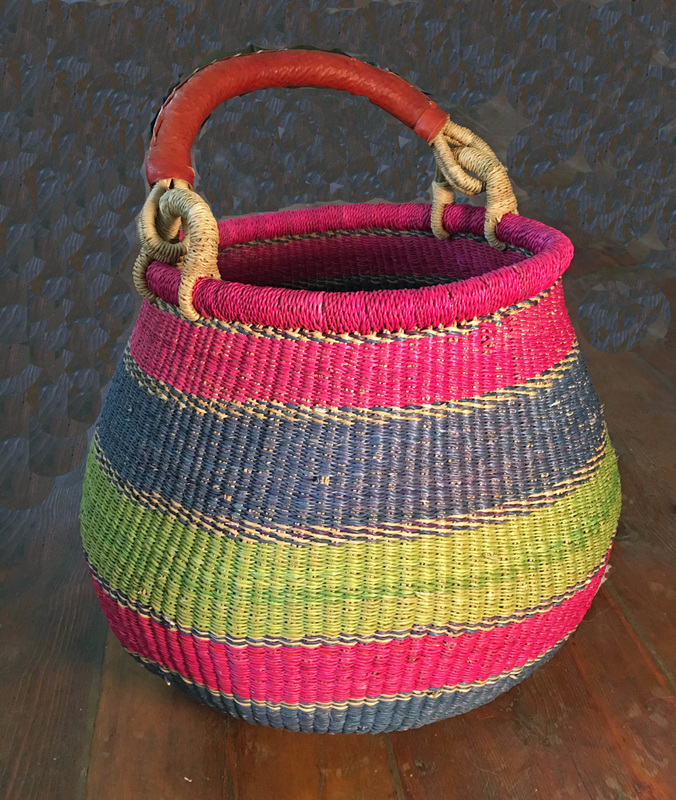 Perfect for the farmers' market, garden harvest, knitting, kitty bed, books, towels, picnic fare or numerous other items that might need a little organizing. Because the baskets are handmade they will vary a bit in size, approximate diameter: 14''-16", depth:10"-12". Each is unique based on the choices of the weaver, and because they are handmade, it's normal for them to have little imperfections that add to the rustic feel and charm of the basket. 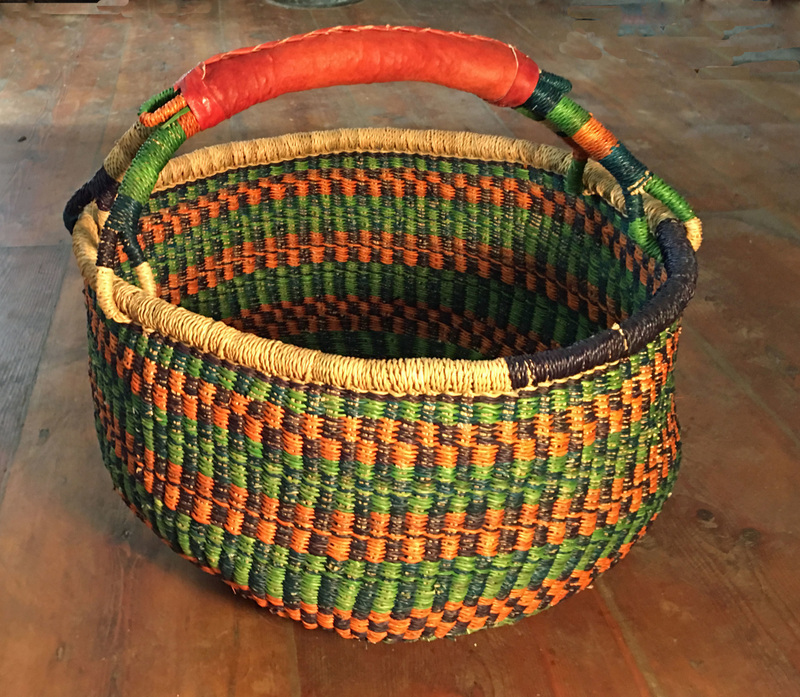 You will receive the actual basket in the photograph. Approximate Size: Opening: 11.5", height not including handle 12"
Approximate Size: Opening: 14.5", height not including handle 9"
Approximate Size: Opening: 10", height not including handle 11.5"